Nothing beats a glossy wedding magazine which she can dip into at her leisure for the bride-to-be who is eagerly planning her Big Day. Over the span of six years, WD has built a reputation for bringing you some of Malta and Gozo’s most beautiful and amazing weddings. 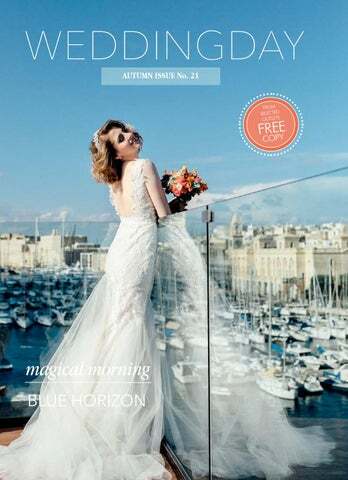 From a farmhouse in Burmarrad to a cliff-edge restaurant in Gozo; from a venue with views of Mdina, to a seaside wedding; from a field which was magically transformed into a wedding venue to the classic, understated elegance of the Phoenicia hotel - you will find a bit of everything when it comes to different styles and themes in this issue. For our photo shoot we chose the Gran Cugó Macina Grand Harbour - a venue with views which people travel thousands of miles to see. For a small island, everyone always agrees that we have an incredibly wide range of venues to choose from, which is why, WD is proud to have played a small part in promoting our islands and helping to increase the interest of foreign couples who want the perfect Med. wedding.